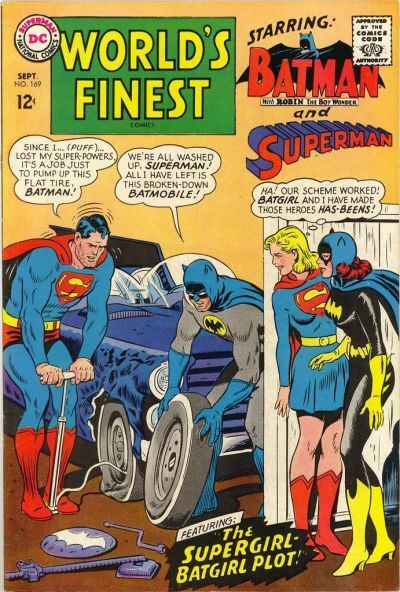 Original cover by Curt Swan and George Klein; DC 1967. Jason Young's website is here. Interesting (possibly only to me) thing about this: I asked Jason to draw this for recreation for me without him ever seeing the original. I think it turned out pretty great. Very cool. I love Jason's work. One of the zaniest covers of the Silver Age....great re-interpretation!